Every MyNameNecklace is precious and should be treated as such.All jewellery, even the most precious, requires basic care. 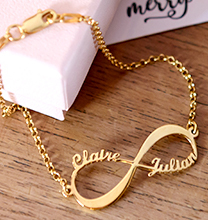 To keep your personalised jewellery looking lustrous and good new, here are a few simple instructions to keep in mind, no matter if it is solid gold name necklace or a gold plated one, or even a sterling silver monogram bracelet! 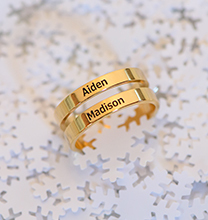 we provide you with the basic care instructions you need to ensure your monogram necklace or engraved accessory stays looking like new no matter how long ago you purchased it! 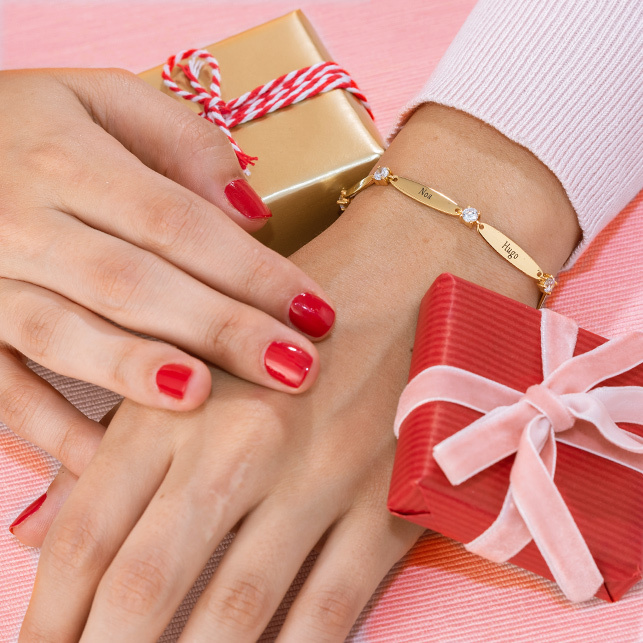 Lotions, hairspray and some cosmetics have chemicals in this that can harm or tarnish your precious jewellery. To keep your customised piece looking its best, keep it out of harm’s way by putting it on after your do your makeup and hair. Lotions, hairspray, and certain cosmetics have chemicals in it that can cause damage to jewellery, such as tarnishing. By putting on jewellery after putting on makeup, you limit your jewellery's exposure to the chemicals. Everyone loves a cool dip in the swimming pool on a hot summer day. But pools and jacuzzis are full of chlorine, which can discolor your jewellery if exposed too long. So play it safe: When you’re stripping down into your bathing suit, take your jewellery off, too. Your soaps and shampoos may get you smelling fresh and squeaky clean, but they could do a number on your personalised jewellery if they also have chemicals in this. Too much sudsing in the shower while wearing your personalised necklace, bracelet or rings can cause a film to form over the precious metal, dulling the sheen and diminishing its gorgeous shine. Properly storing your jewellery will do wonders for keeping it looking new. Keep your customised jewellery in a box where it won’t get tangled up with other items or dinged up from too much movement. A jewellery box with a soft felt lining is a great idea, but you can even line a simple shoebox with fabric to keep your items nestled and safe. Anti-tarnish strips are also a great investment to keep out oxidants than can tarnish and dull your pieces. All jewellery can eventually tarnish, but your best defense is to be vigilant and properly care for your items. 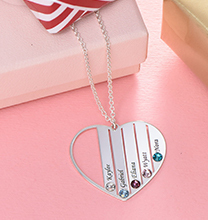 At MyNameNecklace, we recommend that you give your gold or silver jewellery a quick clean at the end of the day, using a soft cleaning cloth, to remove any fingerprints or oils that may have accumulated from normal wear. And once a week, we recommend a more deep clean — use a simply mix of 1/2 cup warm water with a few squirts of mild liquid soap, and let your jewellery soak for three minutes. Then remove your items, rinse with clean water, and allow the jewellery to dry. That’s it! Sterling silver jewellery deserves extra special care, so for these precious items we recommend a silver polish.You can purchase a quality silver cream at most jewellery stores, drug stores and even supermarkets. 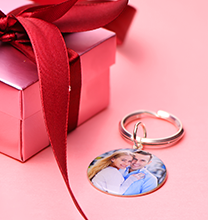 Your personalised jewellery commemorates your most special moments in life, so treat it with care and it will last you a lifetime. 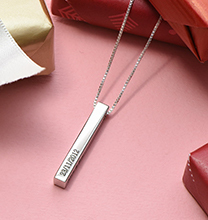 Wear Your Name on a Necklace Today!